The CITY series units are microprocessor controlled and designed for small and medium-sized industrial and tertiary installations. 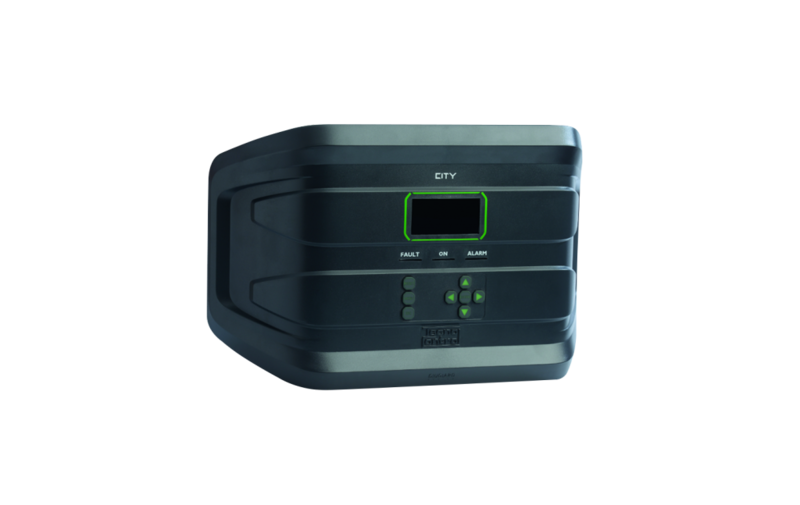 The CITY units have four inputs and four relays (expandable to 8 in and 8 out with the ES 400 expansion card) for the connection of all TS series probes for the detection of toxic and explosive gases and vapors. as well as oxygen and CO2 One of the special characteristics of these power stations is the possibility to freely program the alarm signals on 3 thresholds and to associate them with the servo relays, possibly groupable by zones.On the CITY , the programming and control are carried out by means of a convenient keyboard located on the front near the large backlit display and user-friendly software.